Flora Yunnanica, which was successfully compiled covering over half of the plant species of China, was selected one of the "2010 Top Ten Scientific and Technological Progresses of Yunnan Province" organized and issued by Yunnan Science and Technology Department. Flora Yunnanica, based on the large scale field study and sample collection work within Yunnan Province and its neighborhood areas, featuring accurate documentation and rich species information, is a very important foundation work for the plant science, which can provide basic evidence for cataloguing and drawing up protection measures involving biological diversity for Yunnan Province. 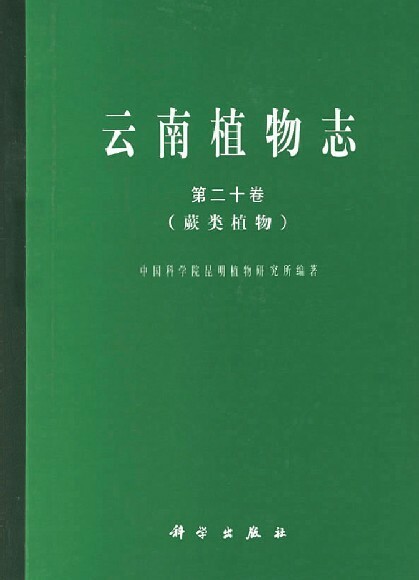 Flora Yunnanica is 21 volumes, 24,520,000 words and 4,263 pictures in total, recording the already known wild species and cultivation higher plants within Yunnan Province. The work includes a total of 433 families, 3,008 genus and 16,201 species, which is a primary component of the biological resources database. In view of the high importance of the plants in Yunnan Province, with the plants within Yunnan clearly figured, over half of the plant species of China are known to us there. According to the information, the scope and condition for the candidacy of "2010 Top Ten Scientific and Technological Progresses of Yunnan Province" is as follows: It shall be the major scientific and technological matter happened within Yunnan Province in 2010. The qualified projects shall be the innovative scientific and technological achievements with great leading and supporting roles to the provincial economic development, the innovative scientific and technological successes with great effects on scientific research and technological development and major scientific and technological activities and measures resulting strong impacts within the country. Over 60 projects were received from all sectors of the community and the final results were issued after 10 days of public voting, experts' recommendation and approval of Yunnan Science and Technology Department.